The Everton Marco Silva was unhappy after receiving a goal and then seeing how Kurt Zouma was sent off. 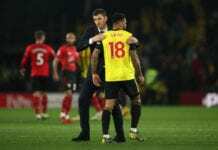 A single goal by Andre Gay gave Watford the 1-0 victory over Everton in the English Premier League on Saturday. And the Blues are now in the ninth position of the table with 33 points, after only nine wins, six draws and 12 defeats. This has led coach Marco Silva very frustrated. “When you do not achieve the result and do not score goals with the chances we created, it is a big frustration for us,” Silva told the club’s official website. “Second half was the same again. They started to create more problems with their long balls,” he commented. “I changed Andre and was preparing to put on Bernard when they scored,” Silva continued. “We had two balls off the bar and one clear chance for Dominic,” the manager said. 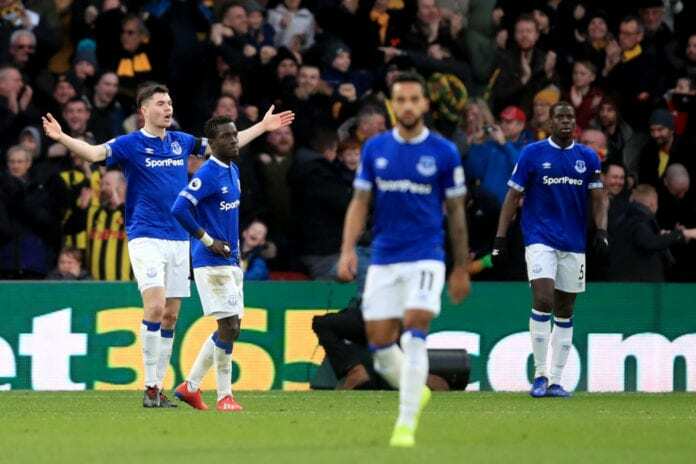 “When you play away and create the chances we did – and clear chances in some moments – we have to be more effective,” the Everton boss commented. “But there is just one way: work more, become more confident and look forward and try to change things,” he added.